In this detailed guide, yoga and meditation teacher Pierre Bonnasse reveals the simple movement, breathing, and awareness techniques of the Rishi Yoga tradition, passed down through generations of yogis in the Himalayas. He shows how to integrate Rishi Yoga into daily life for discovering and recognizing the Universal Self, or Pure Awareness, and unveiling the peace and joy inherent in each of us. 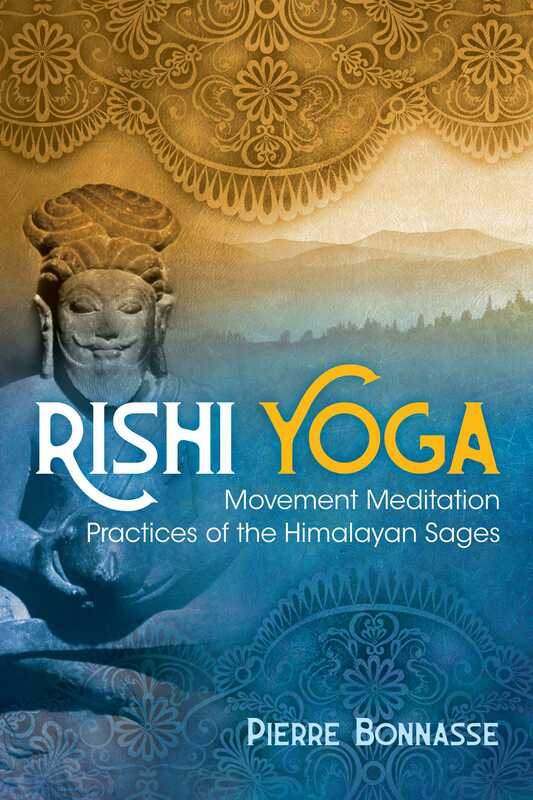 The author begins by detailing the foundational practices of Rishi Yoga: easy physical movements, done slowly and with full awareness, combined with breathing exercises, sensory perception, and concentration. These moving-meditation exercises are physically simple enough to be performed seated, standing, or lying down and work progressively to allow you to tune in to your energetic body centers and cultivate a natural and effortless sense of self-awareness, which is the hallmark of Rishi Yoga, in every situation and at every moment. The author explores how Rishi Yoga trains us to become receptive to all levels of being--the physical body, emotional body, and subtle body--and enables access to tissue-level awareness and cellular memory. He also looks at this dynamic meditation’s rapport with traditional forms of yoga, such as Raja Yoga, Jnana Yoga, Hatha Yoga, and Yoga Nidra, and with the philosophy of nonduality, Advaita Vedanta, and modern methods of mindfulness. The author explains how, as Rishi Yoga advances you from personal awareness to a state of universal consciousness, it also becomes more and more integrated into the ordinary activities of daily life, making every moment--from the time you wake up to the time you fall asleep--an act of meditation, active perception, undivided attention, and expanded awareness. And once the practice of Rishi Yoga has permeated all facets of your waking life, it brings the realization that true happiness or Enlightenment is neither a state nor an experience to attain or acquire; it is an ever-present reality to be recognized behind every thought, emotion, speech, and action--the “ultimate Bliss” described by the ancient Indian scriptures. The Rishi Yoga Meditation is a marvelous practice for promoting and maintaining global health and well-being of the body and the mind. By reinforcing awareness of the structures of the being, the suggested practices allow one to consciously work on harmonizing and rebalancing at different levels, thus providing an opportunity to be more self-reliant with respect to our physical and mental health, without having to fall back on external remedies, as far as possible, even though they are sometimes necessary. And when used, remedies will be actively assisted by the practices, thus supporting external treatment. The inner peace and joy awakened by the movements, the poses, the breathing exercises, and the concentrations have a beneficial effect on the immune system, which itself optimizes its own work. During dynamic mediation, the conscious breaks can help this optimization, by always establishing a link between the physical, the energetic, and the mental, and with a proper intention. Given that each energy center is linked to specific vital organs, the amount of energy diffused in these organs can be combined, with an intention to improve their health and proper functioning. While inhaling, one mobilizes the energy in the center in question; while exhaling, one allows it to spread to the corresponding organs, such as the heart and lungs, focusing on the sensation of the body and on the feelings of happiness and well-being that awaken. As one continues to breathe, one allows the sensation and the feeling to infuse the organs, by trying, for example, to smile with all the cells of the organ in question, immersed in this deep relaxation. This kind of preventive approach, when applied with full awareness, will have a positive effect on the body and the mind, as opposed to stress, negative emotions, and unconscious mental ruminations, which are the creators of physical as well as psychological disorders and malfunctions. 66. Place one hand on your lower abdomen and the other one on the sacral region, and notice their shape, presence and touch. 67. Stand up and place your hands on your hips; move your pelvis forward and backwards, then from left to right, and finally, in a circular manner in both directions. 68. Leave your arms lose alongside your body, turn to one side and then to the other, rotating around the central axis. 69. Hold your knee with one hand, bring it to your chest, and push your leg to the side. Bring it back to the center and push it sideways again, balancing on one leg. 70. Sit with your back straight and legs stretched out. Place one foot on the inner side of your arm, at elbow level, and hold your leg by hugging it with both arms and interlocked fingers for a firm grip. Move your leg from left to right and right to left (“rock the baby”); then, without letting go, bring your foot to your chest as you exhale completely (the other leg remains stretched out). Do this exercise with both legs and remain aware of your hips as they open up. 71. Be seated with your back straight and place your heels against the perineum, hold both feet with yours hands sticking one sole to the other. Raise both knees as you inhale, and lower them as you exhale, several times. Then inhale deeply, and let your upper body bend forward as you exhale, starting with the sexual region, the lower abdomen, the belly, and so on, as if you want your forehead to touch the floor. Move down with each exhaling breath and let gravity operate. Do not strain by focusing on the resistance of the tendons and bones. Feel the empty space in your hips and allow the movement to happen on its own in this emptiness. Explore, without strain or effort. 72. As you inhale, firmly contract the sexual region (sexual organs and perineum) and hold your breath for a few moments; then exhale and let go. Become aware of the energy rising in the emptiness. 73. Seated or standing up, pause for a moment in order to notice the sensations and vibrations in the sexual and sacral regions as they appear. Then, inhale with awareness of the vital energy from the sacral center (in level with the sacrum) and mentally repeat “I”; exhale with the awareness of the entire sexual region (skin, muscles, organs, and bones) and all around, and mentally repeat “Am”, as you enjoy the joy of being in all your cells and in the silent space. Then, pull the energy in the spine upwards, up to the top of your head, and let it fall back down as you exhale. Feel the ebb and flow of the vibrations that appear and disappear in the silent and empty space.